The course for the initial commanding duty officers of the military medical service organized by the Training Center of the Military Medical Service of the Sector for Education and Scientific Research MMA was held from 25 May to 5 June 2015 at the Military Medical Academy. 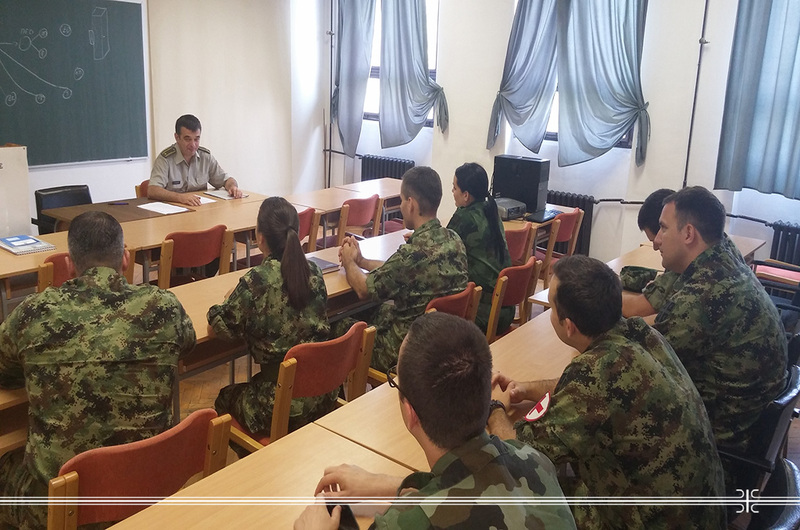 The training was attended by nine lieutenants of the Military Medical Service from the Serbian Armed Forces units and lectures were given by teachers from the training center and the organizational units of the Military Medical Academy. Participants of the ten-day course had the opportunity to acquire new knowledge of the organization and tactics of military medical service, preventive medical protection, war internal medicine and war surgery, as well as to exchange experiences with older colleagues.